Your pastor has handed off his PowerPoint presentation on a thumb drive, the music leader has given you a Post-it note with the hymns she picked, and there is that theme verse for the month that should be showing on the screen as the congregation enters. And of course, somewhere during the service, the announcements that the committee just e-mailed you will need to be thrown up on the screen. By the way, the pastor has decided he’d like to use a 30-second video clip from this DVD he watched last night, after slide five. How do you make that all come off on the projector meeting seamlessly, without the awkwardness of opening and close PPT files and video players, cueing a spot on the DVD, and hoping that every application and document shows up on the projector the way it should? When I first encountered SongShow Plus, my reaction to it showed my ignorance; why should I need a glorified PowerPoint program? So what if it has every modern version of the Bible loaded up in its memory? I have internet access – I can just as easily cut and paste. When I installed SongShow Plus, my reaction immediately went to the other extreme: I can’t use this – it doesn’t make any sense! A smart guy like me should be able to figure out a product designed for volunteers without reading the instructions. Seven minutes and thirteen seconds of video tutorial later, I understood what I was using and what it could do for me. Every piece of media, be it a video clip that I want looping behind a welcome screen, or the main PowerPoint slides for the meeting, could be ingested in to SongShow Plus’s library. And a huge array of standard pieces of content – from sample images to hymn texts to every verse of Old and New Testament scripture – could be searched, previewed, and inserted at the click of a button. The installation process invites you to customize the program; you can pick and choose from a long list of features and content at installation time. I added the ‘DVD Playing’ feature when I installed it. My church uses DVDs a lot; we have some beautiful reenactments of Christ’s life that can add a nice touch to a baptismal service or a Sunday School lesson, and being able to cue up a portion of one on demand is a nice feature. I also picked through the list of versions of the Bible and there were plenty to choose from. – A control panel that lets you control the current event in the program. The tutorials are very strong – “Jordan”, the narrator, is unscripted but organized in his approach, and easy to listen to. Better than most tutorials, where you are afraid that you are going to wake up drooling on your keyboard with your eyes crossed. Then you have to explain to your boss that the QWERTY-looking stamp across your face is from defending a puppy dog from some hooligans that attacked you using an old PC keyboard. Thankfully, the SongShow Plus tutorial segments are only a few minutes each, you don’t have to feel like you have to block an hour off your schedule to watch them. With SongShow Plus, you can incorporate all kinds of media in to your program; DVD Video, Background Images, Background Video, Hymn Text, Scripture Text, Audio Files, Power Points, and more. And you can control those elements; you can set a video background to loop, or a DVD clip to play from a certain point. Now to the meat of your upcoming program. When you import the slides from a PowerPoint presentation into SongShow Plus, using a sweetly simple, very visual wizard that the software offers up, they come in as a series of individual graphics. That means you lose the ability to edit the slides, to see the author’s animations, or to play any video that was embedded in them. But it also means you can apply the slide transitions you were using for the other program elements, and get a good contiguous feel throughout the program. It also means that when the Pastor wants to change his presentation, you do not have to re-import the whole program. You only have to replace that element of the program; you don’t have to wait to have it to create the other parts, and you don’t have to worry about him messing those up while he edits his part. This kind of compartmentalization of a project can be ideal in a collaborative environment. While my church does not use PowerPoint presentations in our worship services (media is kept to a minimum), we do employ them in training meetings and classes regularly. We’ve been very blessed as a church to have leaders whose slides are more inspired than, say, the things we’ve all seen in the conference room at work. There has been no shortage of pundits caricaturing and questioning the intelligence of the people who abuse PowerPoint. I sometimes wonder if PowerPoint was not somehow involved in the Old Testament story of the talking donkey (Chapter 22 of Numbers, if you feel like some extra-curricular reading). Edward Tufte, a Professor from Yale University, alerted the world to the serious pitfalls in presenting information with Power Point-type products. He was quoted suggesting that “the minimum we should hope for with any display technology is that it should do no harm”, invoking the oft-cited departure point for medical ethics, “First, do no harm”. 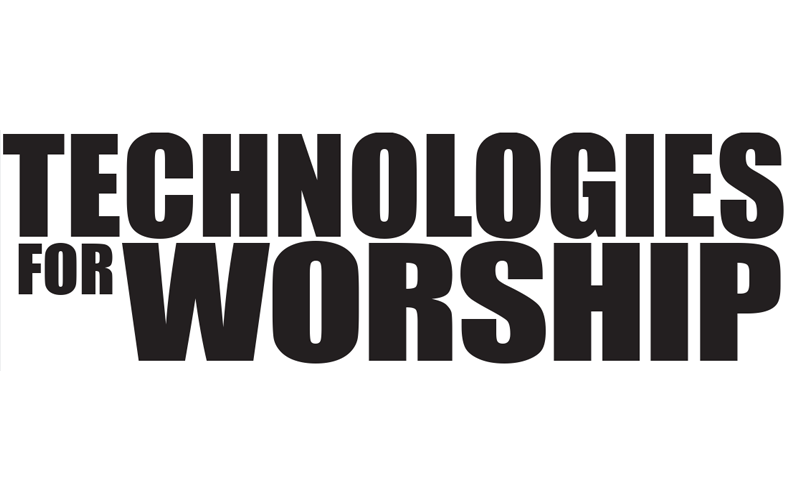 Certainly spiritual study and worship qualify as deep and profound tasks that merit adaptation of technology. In my family, we follow our church’s suggestion to set apart one night a week for family night (we call it “Family Home Evening”). We sing a song, have a prayer, and we teach a short lesson. We always have an activity planned, and a treat. Of course the children don’t mind the singing and look forward to the activity and treat, but sometimes we lose them in the lesson. That’s either because we’re trying to teach too many different ages at once, or because we get excited about the material and perhaps stay in it a little too long. (Sometimes, Dad is just boring.) Recently, my wife took to connecting her laptop to the television (we now have one of those obnoxious giant flat screens in our house), and putting some of the visual materials up there. I was skeptical, and then impressed by the degree to which it improved their engagement. I tried it myself last week when it came my turn, and again was surprised at how involved I could keep all of them – from the 3 year old to the 14 year old. I would go so far as to propose the following: A tool like SongShow Plus could return presentation software to its rightful place as an enabler, not a corrupter, of information. 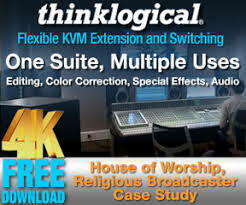 Now I can turn to this software to help me pull together the elements of a program; when I plan my elements and a video or photo or a quote or a hymn text comes to my mind, I can have them at the ready, instead of trying to force teachings in to the stale and tried format of PowerPoint slides. While nothing about the program was unstable or (once acquainted) illogical, there were a couple of strained minutes just getting started using SongShow Plus. The installation was tedious. I suppose that in order to support and make available so much text and so many file formats, many different interfaces had to be installed. None of the installation was complicated or confusing, it was just a lot of clicking ‘Yes’, ‘Accept’, ‘I Do’, ‘I solemnly affirm’, and the occasional ‘Pinky Swear’. Before you use the software, you should definitely watch PowerPoint. I sometimes wonder if PowerPoint was not somehow involved in the Old Testament story of the talking donkey (Chapter 22 of Numbers, if you feel like some extra-curricular reading). Before you use the software, you should definitely watch the first of the ten video tutorials on the web. I wasted ten minutes clicking around in the software and got nowhere. But I spent just 7 minutes watching the first tutorial, and I created a complete program in the first two minutes. The workspace customizability perhaps goes a little too far. You can even change the colors of the buttons and the background in the software application. Like Joseph’s coat, your buttons can be “red and yellow and green and brown and scarlet and black and ochre and peach and ruby and olive and violet and fawn and lilac and gold and chocolate and mauve and cream and crimson and silver and rose and azure and lemon and russet and grey and purple and white and pink and orange and blue.” (This quote may be taken slightly out of context. Credit is given to Andrew Lloyd Webber and Tim Rice). SongShow plus is a great way to integrate a church program that has a lot of different elements to project. The tutorials are strong, the features are adaptable, and the interface is logical once you get to know it. 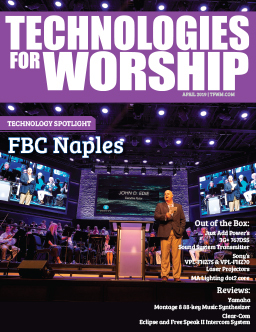 The fact that you can import virtually any type of visual content coupled with the instant access to sample graphic elements and to scripture and hymn texts really make this tool complete. There are many other options available as add-ins, including a site license. SongShow Plus runs on Windows 7 (both the 32- and 64-bit versions), as well as XP and Vista (32-bit). The software may run on other Windows Operating Systems, but there’s no guarantee or support if you try. The company is quick to send a test key for a full 45-day demo, and consistent in follow up with e-mails including contact information and links to tutorial videos. And they are very forthright about who their competitors are; a complete listing can be found on their website. Look for ‘Comparison Chart’ under the ‘Links’ menu on the gofishmedia.net website.